General Motors will let OnStar users opt-in to share driving data with insurance risk data provider Verisk Analytics, a move towards creating usage-based insurance standards in both industries. Usage-based insurance was already a hot topic this year, and Consumer Reports turned up the temperature by reporting that credit scores and other socioeconomic factors were being used to calculate insurance rates — perhaps even more than driving records. General Motors isn’t being compensated by Verisk for helping to fill the auto insurance data exchange, according to Deana Alicea, GM connected customer experience spokeswoman. Rather, it’s trying to spur “level playing field” standards in the automotive and insurance industries for a product its customers might want. “The more people that are involved, the better it is for consumers,” Alicea said. Verisk said GM is the first OEM to join the program. Alicea said the program will only be available to OnStar subscribers ($19.99-$34.99 a month), as OnStar isn’t active otherwise. Verisk has already created two usage-based insurance models and filed them with state regulators, and it plans to create more. Other insurers — both with and without telematics offerings — could also connect to the exchange for data about “consenting customers,” the company said in a news release. Some insurers, perhaps most notably Progressive, have already begun offering discounts based on “usage-based” driving data. Progressive’s Snapshot even now cuts both ways in some states, raising rates for some bad drivers (though on the whole Progressive says Snapshot drivers have kept teaser rates or received even lower premiums). Other insurance companies are now solely usage-based, such as Metromile. 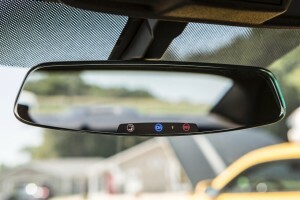 GM was already working with Progressive to give OnStar users a driving score based on factors such as night trips, sudden acceleration or hard braking, doing above 80 mph and trip duration, according to Alicea. The driver could then decide whether to share it with Progressive to see if a discount would be possible. That’s still being developed, Alicea said. However, that arrangement won’t prevent GM customers who want to share data with Verisk to obtain usage-based insurance from a Progressive competitor, she said. “Our customers are first and foremost,” she said. “You know exactly what you’re opting in to,” she said. GM will also still retain its general OnStar policy of keeping data private barring a subpoena, she said. Connected cars seem to offer a very immediate means of steering customers to insurer direct repair networks or certified OEM shops; Mike Anderson of Collision Advice has already given a hypothetical example of how the latter could happen. Either of these could be problematic depending on your shop’s perspective. However, Alicea said GM’s new partnership with the insurance industry won’t signal the start of OnStar Accident Response changing the conversation with collision victims to push OEM or DRP networks. Will the proportion of drivers with collision and comprehensive coverage see a net increase or decrease — or stay much like today? The technology probably isn’t common enough or refined enough for anyone to know, but it’s something for repairers to also keep in the back of their mind as usage-based insurance develops.